The Prius AWD-e models offer the same 1,855 L of carrying space with the standard 60:40 split rear seatbacks lowered as other Prius models. That’s more than in some small SUVs and larger than most full-size sedans. Expanding carrying options, the Prius AWD-e will offer available Genuine Toyota Accessory cargo crossbars for roof rack attachments, such as for carrying bikes, kayaks, snowboards, or a cargo carrier. 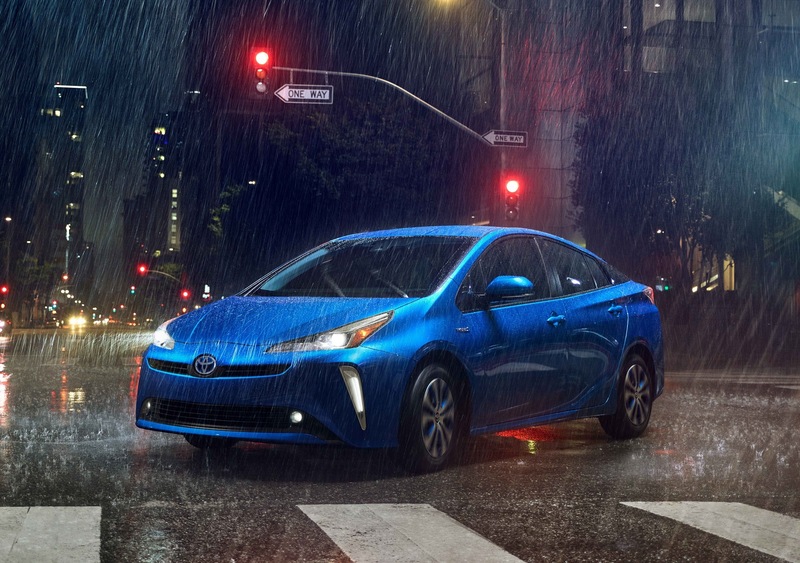 The Prius AWD-e Technology features upgraded SofTex-trimmed, heated front seats with 8-way power-adjustable driver’s seat. All Prius models share interior features including the familiar central screen interface. The 4.2″ colour Dual Multi-Information Display with customizable screens adds an AWD-e system indicator to the menu of displays, which also includes Energy Monitor, Hybrid System Indicator and Eco Score, Eco Savings Record, Drive Monitor, Eco Wallet, Eco Diary, Climate Control, driver support systems, audio system content, and navigation system content. For the ultimate in high-tech information, the available (in the Advanced package) Colour Head-Up Display (HUD) shows the speedometer, navigation, and Hybrid System Indicator in the driver’s line of sight.